Klipsruit technicians studied all the systems, units and the maintenamce procedure of the BELAZ-75312 truck. All of them received appropriate certificates from BELAZ Africa. A New corporate movie "Continental Race" is devoted to a 70th anniversary of BELAZ. The movie is about the unique mining dump trucks manufactured by the company BELAZ that are popular in different parts of the world. The movie Project name is "BELAZ 70". Going up against an experienced driver from Siberia representing South Africa behind the steering wheel of a mighty BELAZ 75302 truck is Mr. Azola Bali, an experienced operator and artisan employed by BELAZ Africa for more than 4 years! Mining dump truck BELAZ 75302 with payload capacity of 220MT have deserved popularity among miners. Ambassador of Belarus to South Africa H.E. Mr. Andrei Molchan and the Counselor of the Embassy Mr. Stanislav Ventsel paid a working visit to Kathu. of manufacturer of Belarusian mining dump trucks BELAZ – “BELAZ-Africa”, visited its service center and got acquainted with the maintenance system of the BELAZ trucks fleet. The Ambassador admitted the highest level of technical service of BELAZ machinery which is working on the one of the world's largest iron ore mine “Sishen", Anglo American. 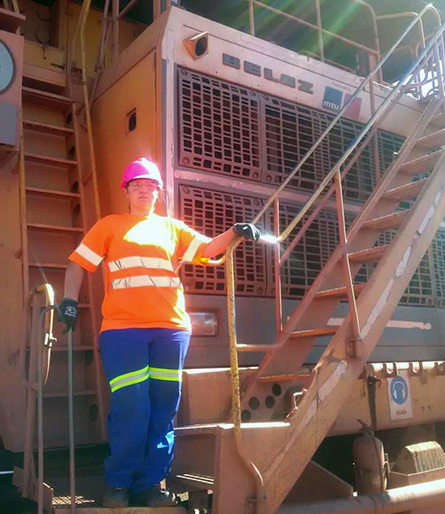 As South Africa commemorates women during the month of August, BELAZ Africa is proud to congratulate Ms. Ninien Hamman (23 years old) for being the first woman in South Africa to drive a BELAZ truck while taking part in a 6 weeks operator training course. Ninien is being trained to operate the BELAZ-75302 - 220ton and the BELAZ-75137-130ton trucks haul trucks. This is proof that behind the steering wheel of a mighty (but very operator-friendly!) BELAZ truck there’s nothing stopping women to show their professional qualities in an environment dominated mostly by men... Well done Ninien and keep going!! 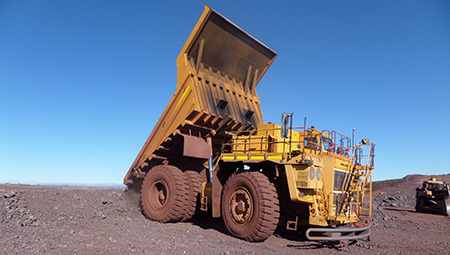 2 BELAZ haul trucks - one of 130t and other of 90t size - are in continuous operation in Kudumane manganese mine near Hotazel (Northern Cape, South Africa) since December of 2016. The BELAZ trucks reinforced a mixed fleet of equipment which is now at work in this manganese mine - a property of Kudumane Manganese Resources (Pty) Ltd and currently operated by mining contractor 4Arrows. As usually the machines are covered by full BELAZ Africa service with a dedicated team on-site. The client noted dependable performance of BELAZ workhorses and the both sides are now looking to carry on with operation on Kudumane mine site. BELAZ trucks are back to work at Roux Civils and Mining contractor. Today Roux is providing mining services for Vedanta Resource's Gamsberg mine, a company's flagship zinc project, located about 30km from Aggeneys (Northern Cape, RSA). The project is being developed as an open pit mine on one of the largest known, unexploited zinc ore bodies in the world, which has been discovered more than 40 year ago. BELAZ fleet consists of four 130t electric trucks BELAZ-75137 which feature proven MTU engine and electric transmission combination providing cost-effective and reliable performance in the modern mining applications. These machines were firstly tested in Kolomela iron ore mine by the same Roux contractor and we are proud that our customers remain loyal to the brand. BELAZ Africa in collaboration with MTU South Africa are providing full service support of the equipment and we are confident that BELAZ trucks will contribute to development of an ambitious Gamsberg project. «MINExpo International» - is one of the biggest international forums where the manufacturers of mining equipment can show their products to the purchasing specialists of different companies. 85% of world-known mining companies are visitors of MINExpo International and 50% of them consider this expo as the most efficient platform. OJSC “BELAZ" show at open booth two new mining dump trucks: BELAZ-75310 with payload capacity of 240t and BELAZ-75581 with payload capacity of 90t. Three of BELAZ Africa 136 MT haul trucks were assigned a short-term haulage contract in a Lyleveld sector of Sishen iron ore mine. In a challenging times when iron ore prices maintain their historical minimum the iron ore producers are seeking for production options to cut the costs and optimize their expenses. BELAZ trucks operated by TAU Mining in a Lyleveld mine of Sishen project are called upon to cope with a tough target and provide efficient and cost-effective haulage of iron ore from stockpiles to Sishen crusher at a rate of 4.000 t per day and hauling distance about 10 km. 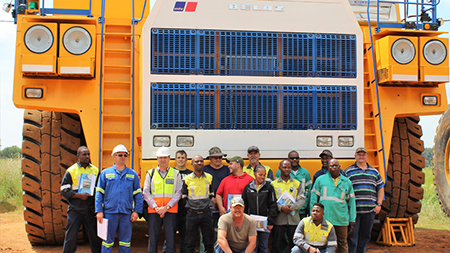 Despite of the difficult market conditions BELAZ Africa continues to implement BELAZ technologies in South African mining. 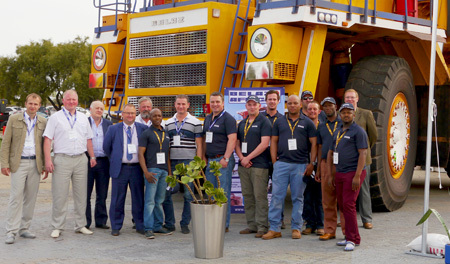 BAUMA Conexpo 2015, one of the biggest African mining & construction show was closed in Johannesburg on the 18th of September, 2015. BELAZ Africa is proud of being a part of this respected international forum. The company displayed it's 90t hauler which worked between BAUMA 2013 and BAUMA 2015 in the iron ore mining of the Northern Cape. The stand was visited by existing and prospecive customers, suppliers and other interested visitors. We are confident of making a right move to promote BELAZ equipment in the challenging conditions of today's mining industry environment. 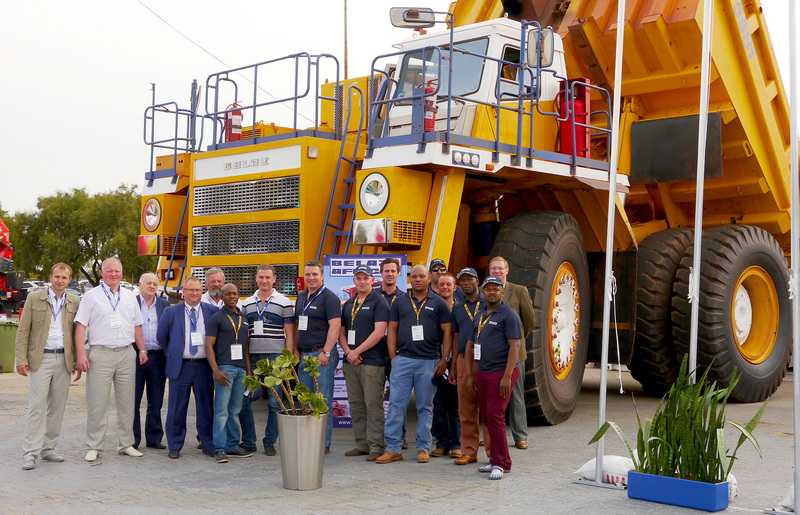 BELAZ Africa at BAUMA Africa 2015! Not a big deal, you might say… Probably, but not for us… As a developing company we aspire not only to leave a footprint in the South African mining environment but to get a recognition as a solid and reliable supplier of competitive haulage technologies. And hopefully BAUMA Africa is a right place and time to say that to our valuable customers. And hopefully BAUMA Africa is a right place and time to say that to our valuable customers. We decided not to re-invent the wheel and bring the same truck on the forthcoming BAUMA Africa 2015 show. Let the technology which proved as reliable and productive in a real condition of south African mine speak for itself and be a showcase. We welcome you on our stand No. OS260at BAUMA Africa 2015 from 15 to 19 September, 2015; the show will be held at Johannesburg Expo Centre. BELAZ trucks continue haulage at Sishen mine. It is not a secret that declining iron ore prices seriously affected the mining industry. Many mines had to resort to different measure in order to respond to the challenges, like to cut production, minimize costs or reduce waste haulage. 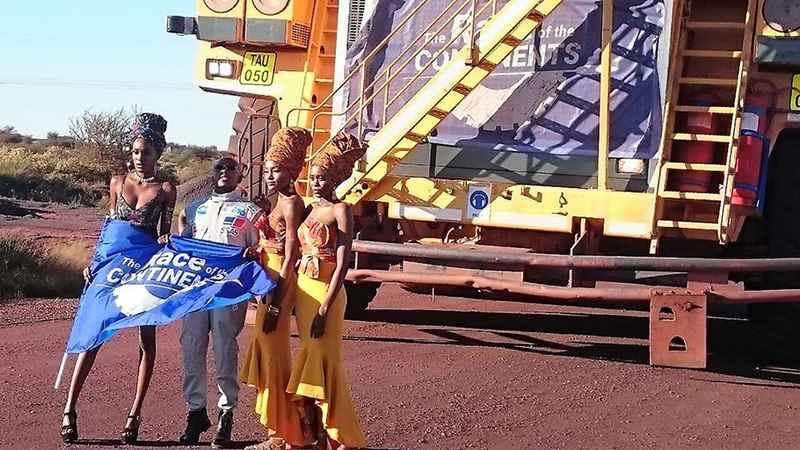 Obviously suppliers of mining equipment – like BELAZ Africa – are also affected and had to adapt to the changeable environment. 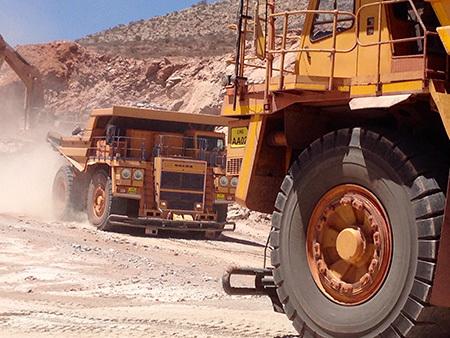 BELAZ trucks continue haulage at G35 sector of Sishen mine (pictured) in South African (pictured) province of Northern Cape. Despite of some serious challenges like reduced tonnage and specific technology requirements (continuous blasting, increased idle time and frequent damages/reconstruction of a haul road) the fleet is meeting the production targets. Thus BELAZ technology makes it’s modest contribution to a feasible task of adapting of modern mining to a challenging and changeable environment. Two technicians from South Africa finished a training course at the BELAZ factory in Zhodino, Belarus. Marnus Boshoff and Reuben Dehuis are employees of Mynbou Rigs Afrika t/a BELAZ Africa and are involved in maintenance and repair of the fleet of BELAZ trucks in Sishen mine. This year they were elected to go to BELAZ factory in Belarus for a training course. It was a first time when they came to Belarus and the purpose of a long trip was to know more about design and maintenance of BELAZ electric drive trucks. And of course - to know a little bit more about the factory, about people who are working there and the machines that are built there. Talking to a reporter of BELAZ newspaper guys admitted that training was particular useful and interesting and provided them with a better understanding how the machine is designed and how it is working. Also Marnus and Reuben highly appraised the job of the factory instructors during the course and said they were absolutely happy with a new experience which included not only lessons and workshop sessions but also the possibility to get to know a new country and its people. No doubt, the completed training will contribute to a higher standard of maintenance and repairs of BELAZ trucks operated in the mines of South Africa. 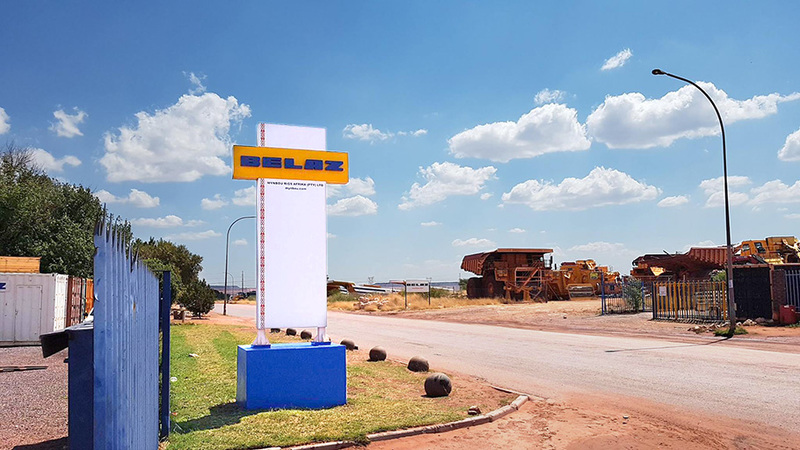 BELAZ Africa branch office and stockhouse in Kathu, Northern Cape is now fully operational.To support its activities in the Northern Cape of South Africa BELAZ Africa has established a new facility in Kathu which will combine a branch office, a service depot and a stockhouse. The office is strategically located to service all the customers of the area and bring them all available technical support & expertise from BELAZ Africa and its team of professionals. This is another important step of the company in an effort to strengthen the presence of BELAZ haulage technologies in the South African region. Welcome to BELAZ Africa office in Kathu! Our address is 13 Jan Flemming street, contact phone: 060 504 3314. Credentials and powers of BELAZ Africa in respect of sale & service of BELAZ equipment in the South Africa has been extended to the December of 2019. - We are trying to organize such parties every year. 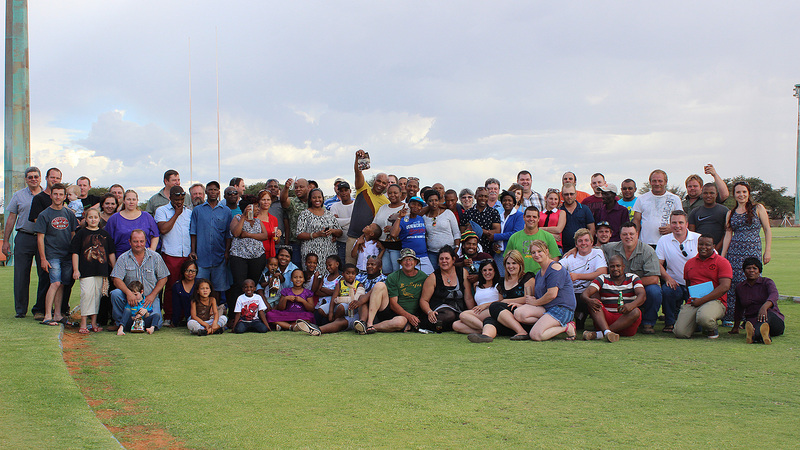 I am glad that almost all our employees could come with their families. We are growing company in the very challenging business environment and our staff is growing together with fleet of BELAZ trucks as well and it's important that all our team and their families share the similar values. I hope that next year we will keep the pace and continue the development. I would take an opportunity to send our best Season greetings to all our employees, suppliers & customers! BELAZ trucks at Hitricon.Two 220t BELAZ haulers were put into service in Sishen mine. The trucks will replenish the fleet of mining haul trucks operated in this mine by Hitricon contractors. The trucks underwent some technical changes to meet requirements of the customer and were subject to extensive training programs with Hitricon operators who are getting accustomed to the new machines. BELAZ Africa keeps expanding the fleet of BELAZ haulers in Sishecn mine of Kumba Iron Ore (Ltd). BlueChip Mining Solutions organized demonstration for it's prospective customers at Khudumane mine site. This event has had for an object to demonstarte the up-to-date mining technologies and excavation, loading and haualge process that BlueChip Mining Solutions is utilizing in this manganese open-pit mine in the Northern Cape. One of the important attraction of the demonstration was a fleet of 130t BELAZ haul trucks recently commissioned at the mine. 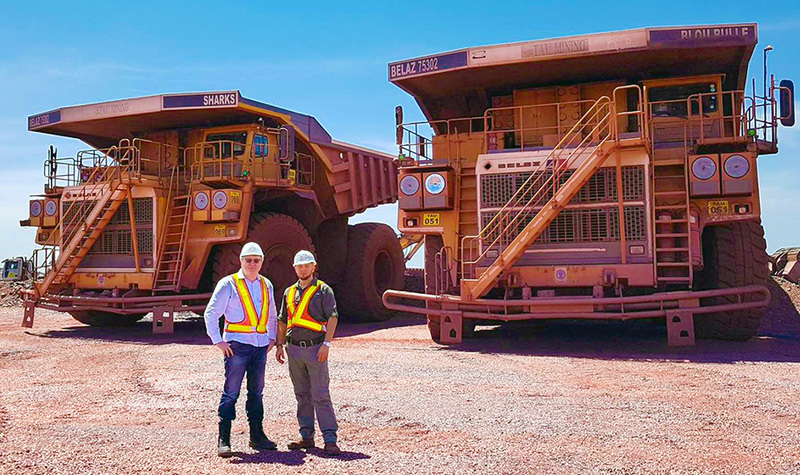 We are proud to be a part of sustainable development of BlueChip Mining Solutions and do hope to become an integral part of the company fleets in the new projects. - We are happy with this machine. It was a certain risk to take this truck because we knew that it was a new machine and a new concept for BELAZ. But the machine gave absolutely no reasons for concern. It is efficient, very quick on the gradients and operator - friendly. Technical support and attention from Mynbou Rigs are also very helpful. BELAZ Africa in close coopeation with Blue Chip Mining finished assembling of BELAZ-7513B haul trucks at Khudumane manganese mine (Northern Cape, South Africa). The trucks will be incorporated in the Blue Chip Mining fleet in the said mine and being the largest haulage units in the fleet are supposed to provide efficient haulage of overburden. 130t haulage units are the first BELAZ machines for Blue Chip Mining and the company hopes to increase it's production by applying this type of machines. The operation of the trucks under the lease contract is expected to start very soon. BELAZ Africa will provide after-sale support of the fleet. The trucks feature proven MTU diesel engine combined to AC-AC electric drive from Russian supplier. Mynbou Rigs Afrika started assembling of BELAZ-7513B trucks at the assembling ground in Khudumane Manganese mine (in proximity to the town of Hotazel in Northern Cape province of RSA). This became possible after Mynbou reached an agreement with reputed mining contractor Blue Chip Mining (Pty) Ltd. At the moment the BELAZ fleet will comprise of 3 units and will join the other haul trucks of Blue Chip in the mine. The truck features 130 Mt payload capacity, MTU engine and up-to-date AC-AC electric drive. The trucks are supposed to enhance production volumes of Blue Chip and the company does not rule out the increase of the BELAZ trucks fleet in the nearest future. 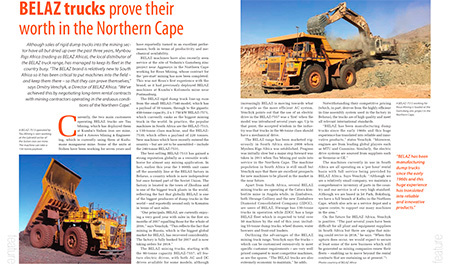 Mynbou Rigs Afrika (BELAZ Africa) supplied two 220t BELAZ trucks for Hitricon HEMC (Pty) Ltd. 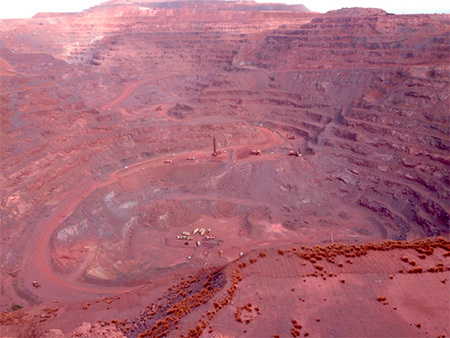 The agreement envisages 5 years lease of the trucks in Sishen iron ore mine operation where Hitricon is implementing loading & haulage contract for Anglo American – Kumba. The parties agreed to discuss the increase of the fleet of BELAZ trucks immediately after the commissioning of the first units.